Weekend is here, and iOS fans would know what that means; yes, another app going free on the App Store as part of Apple’s free app of the week initiative. This week’s title is an arcade racer which usually retails for $2.99 on the App Store but can be downloaded absolutely free till next Thursday. Called Impossible Road, it is a minimalistic racer developed by the folks at ‘WONDERFUL LASERS’. The game is intended to be extremely fast paced, which allows the minimal theme including gameplay and the design elements blend in very nicely with what the game has set out to achieve. Those of you into iOS games would have already come across similar titles in the past, but not every game is as addictive as this one which makes you come back for more and more. There are a total of 4 themes available, and if you happen to be playing the game on an iPhone 6s/6s Plus, or the iPhone 7/7 Plus, you’d be excited to know that it also supports 3D Touch controls. 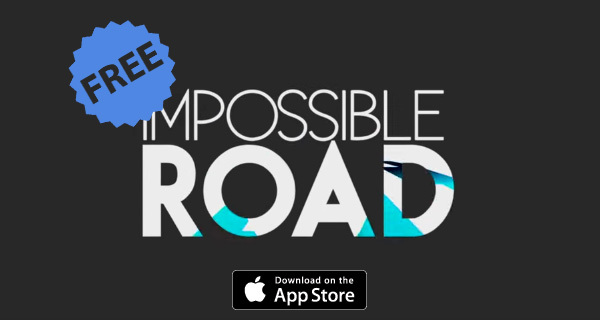 As mentioned earlier, you can download Impossible Road for free till Thursday from the iOS App Store. Damn it, where’s the link, RP? Should’ve included a link. Now I have to go search for it manually like some kind of caveman. No all you need to do is watch the video and boom!